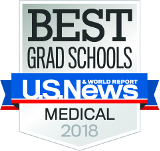 In the U.S. News & World Report rankings released today, the Department ranked fourth (tie) in the Family Medicine Medical Specialty rankings of Best Graduate Schools 2018. The program climbed four places from eighth last year.  "The recent ranking of Family Medicine at the University of Michigan as the fourth best Family Medicine department in the country is a testimony to the phenomenal work our faculty, fellows, residents and staff do in all our missions. Although our focus is not on the rankings per se but rather on providing top quality care, teaching and cutting edge research –- all for the benefit of our patients and communities -- this high ranking validates the wonderful work being done in Family Medicine at Michigan. It's an honor, a pleasure and a privilege to work with such talented and personable individuals," said Philip Zazove, M.D., the George A. Dean, M.D. Chair of Family Medicine. The Department has held a spot in the top ten family medicine programs for well over a decade. The rankings are a testament to the consistent and outstanding work happening in the Department’s patient care, education and research missions. The University of Michigan ranked well overall ranking in ninth place nationally among research schools and fifth place among primary care schools. Several other UMHS programs ranked highly as well. More information can be found in the Michigan Medicine Headlines.